Bessey is well known for their clamping tools and it is always exciting to see what they come out with next. What's next for Bessey this time, is flooring tools. 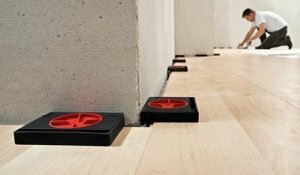 More specifically, their new line of flooring tools consists of both flooring clamps and flooring spacers to help with alignment.